All-red flowers Bouquet with roses, alstroemerias and carnations. 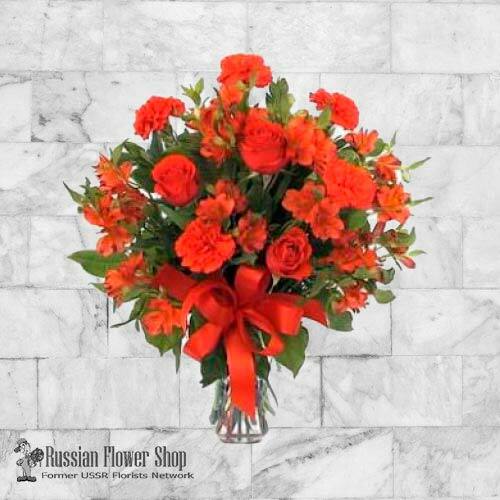 All-red flowers blossom in this exciting arrangement of roses, alstroemerias and carnations. Wow!